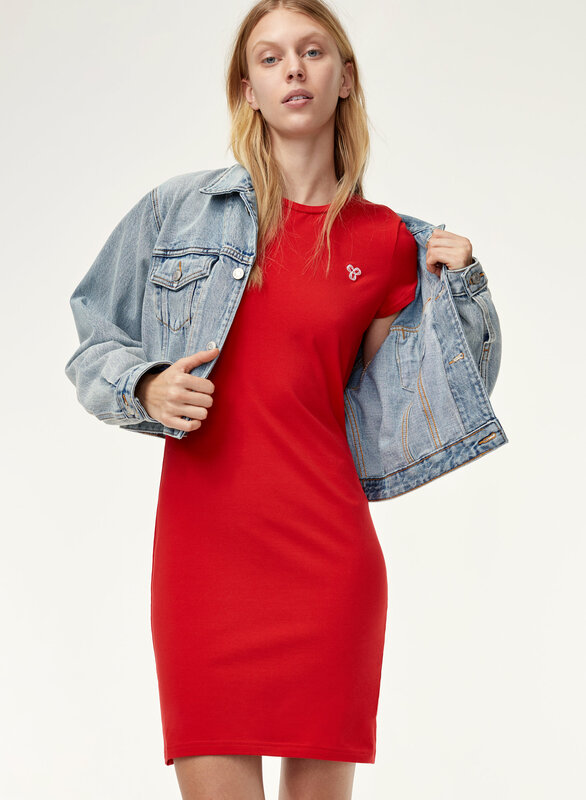 Styled with andino denim jacket . 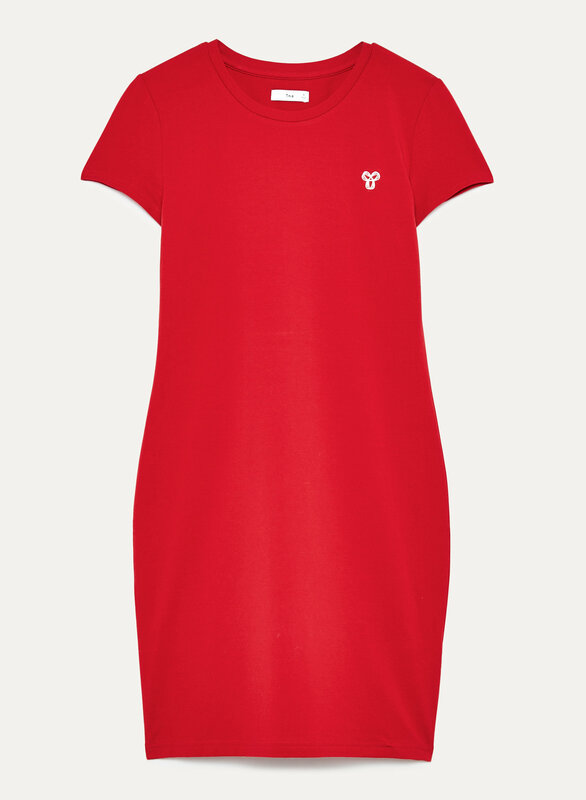 This bodycon t-shirt dress is made with Aurant™, a soft jersey for all day, every day. The fabric is breathable and stretchy for maximum comfort. An embroidered Spiro on the chest completes the look.